Officers belonging to all cadres (except direct group 'A') of Central Excise, Customs, Service Tax and Income Tax bore black badges on 8 December throughout the country demanding better pay scales and career prospects, including Superintendents, Income Tax Officers, Inspectors, Administrative Officers, Senior Tax Assistants, Tax Assistants etc. All matters relating to pay commission and career prospects of these employees have been unresolved for decades due to indifferent attitude of the concerned authorities. If the authorities continue to display reluctant attitude, these officers will be forced to observe day-long dharna on 1 January 2017, at their headquarters offices and also assume mass casual leave on budget day. 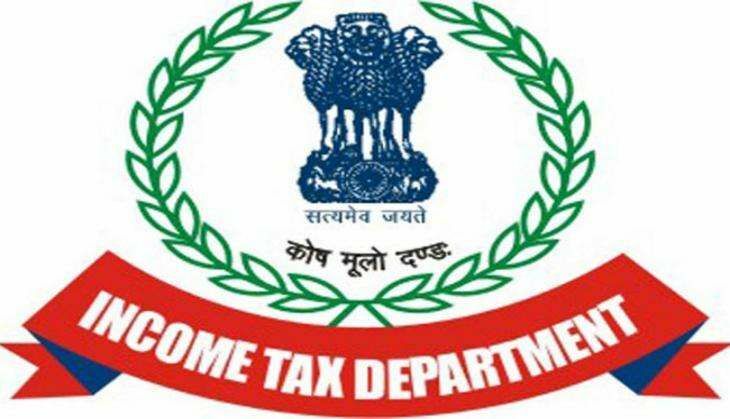 DPC for promotions of the Central Excise, Service Tax and Customs group 'B' gazetted officers has never been conducted timely. Non-serious attitude of the concerned authorities is very well evident by the following figures showing a tremendous delay in DPCs for the promotions for these officers. The promotional hierarchy is also varied department to department in Govt. of India. These officers have been placed in the worst promotional hierarchy. The group 'B' gazetted officers in the most of the departments of Central as well as State governments are being promoted to Senior Time Scale (STS) posts whereas these officers are being promoted merely to Junior Time Scale (JTS) posts. Others have been granted time scale in pay band-3 whereas these officers have been granted time scale merely in pay band-2. So, these officers have demanded minimum five up-gradations in uniform promotional hierarchy across all departments/Ministries in Govt. of India as Inspectors & Superintendents of Central Excise, Service Tax and Customs are retiring only with single promotion in the career of 35-40 years whereas their counterparts are getting 5 to 6 promotions. These officers are being discriminated in the matters of pay scale for decades in comparison to their analogous counterparts of CBI, IB etc. It is worth to mention that investigation and intelligence is the integral part of the duties being performed by these officers like the officers of CBI & IB. In addition, these officers are performing judicial duties in comparison of the counterparts of CBI, IB. The pay scale of the CBI officers were enhanced without increase in their responsibilities with no recommendations from pay commission whereas Central Excise Superintendents are not being placed in the enhanced pay scale despite of regular increase in their responsibilities. Recruitment Rules are unsettled for years which should be changed after every pay commission said Ravi Malik Secretary General, AIACE&C. Ravi Malik also added that the following demands have also been raised to get the justice. 1. To ensure Minimum five up-gradations to all officers in uniform Promotional Hierarchy across all departments/Ministries in Govt. of India. 2. To settle the pay anomalies & cadre structure of Havilder & Head Havilder of CBEC with similar cadre of IB/CBI/Other Departments. Accordingly, Grade Pay of Havaldar should be Rs. 2400/- in place of Rs. 2000/-. 3. To Settle the pay anomalies of Inspector (GP of Rs. 4800/- instead of Rs. 4600/-) & Income Tax Officer/Superintendent (GP of Rs. 5400/- in PB3 instead of Rs. 4800/-) of Revenue Department with the same Grades/Cadres of IB/CBI/Other Departments. 4. To bring in an identical pay structure & promotional hierarchy of the administrative wing in CBDT & CBEC which should also be at par with Hqrs Organization, i.e., Central Secretariat Office as mentioned in 7th CPC recommendations. 5. To maintain the pay parity between the Auditors/Accountants of the Audit & Accounts Department and the Tax Assistants in Revenue Department and UDCs of other Central Govt. Departments, which have all along been in the same pay structure. 6. To finalize and/or modify the Recruitment Rules (including the ones, already notified viz., Executive Assistant & Tax Assistant under CBEC) after taking into account the suggestions/views of staff Federations/Associations, representing the Stakeholders, immediately. 7. To Hold DPCs immediately to fill up all the vacant posts in various cadres. 8. To fill up all the vacant posts in direct recruit quota by way of special recruitment drive. 9. To restore the sanctioned strength of drivers prior to cadre restructuring and purchase of more Govt. Vehicles. Merger of the cadres with main stream cadres in the same Grade Pay after suitable relaxation may be an alternative option. 10. Restoration and revision of Rummaging Allowance and Diet Allowance paid to Customs Superintendents and Inspectors (Preventive Officer) in CBEC.